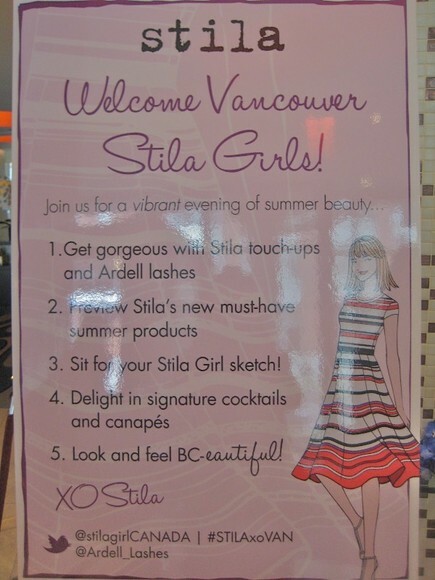 I got an invite to attend the Stila Cosmetics event held at Opus Hotel. 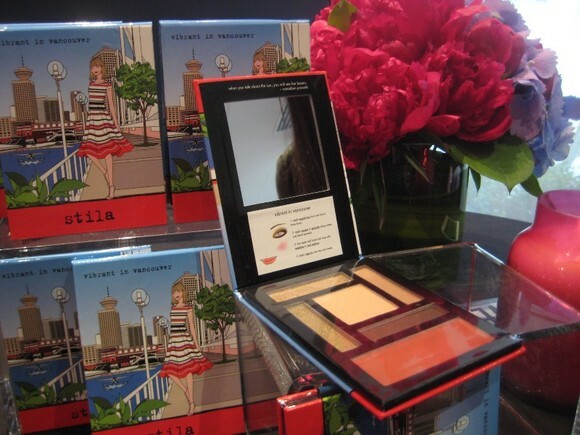 Stila is debuting their limited edition Vibrant in Vancouver Travel Palette along with other Stila make up products and Ardell lashes. I usually get my Stila cosmetics from Sephora and my Ardell lashes from Superstore. 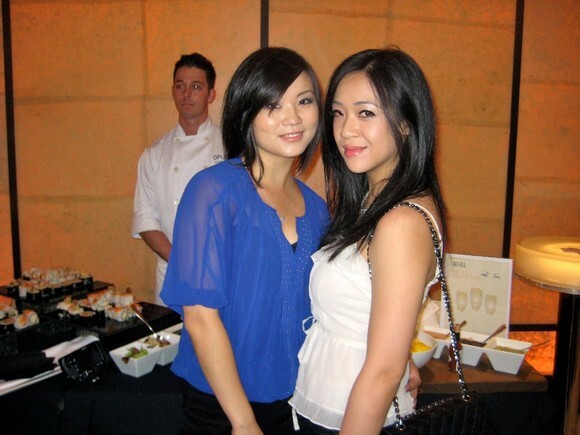 I was super excited to attend this launch party because I use products from both brands quite often. Also, I told myself that I would not miss this event..even with an injured eye ball. I didn't care, I was set on going. 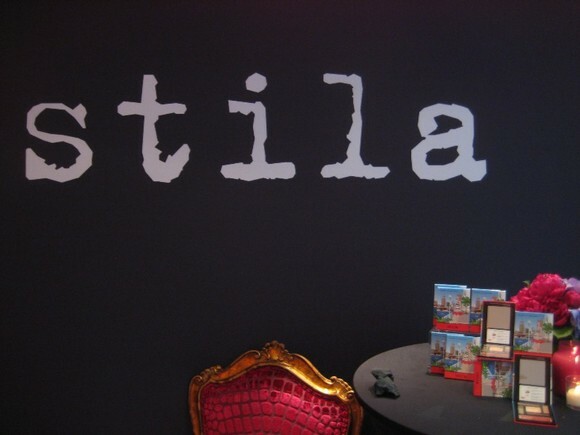 The event was beautifully decorated with jewel toned peonies and hydrangea flowers that accented the Stila beauty products. 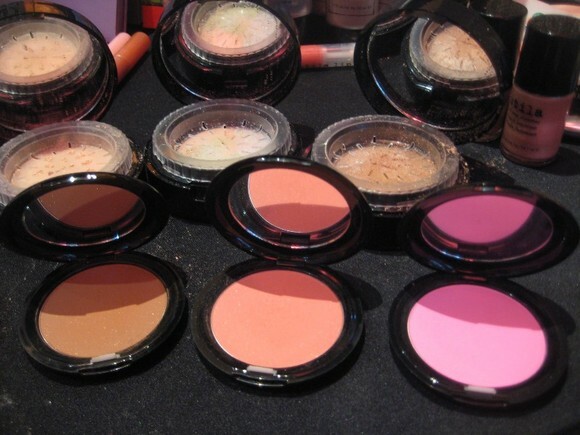 We tested out various make up products from their lip gloss in passion fruit (smells amazing by the way) and powdered blushes. 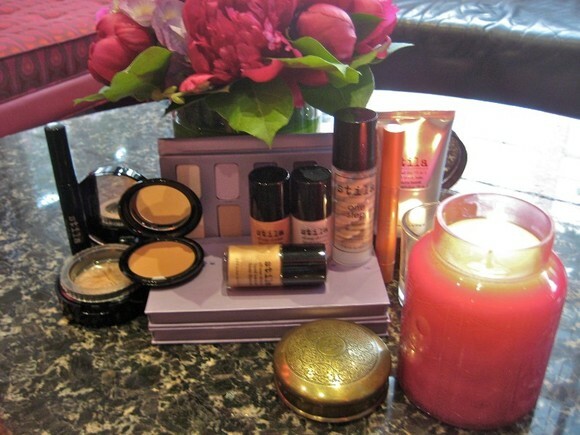 Stila illuminators, bronzers and eye shadow palettes galore! 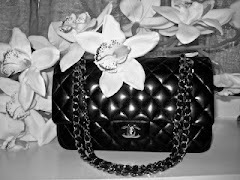 Ferragamo flats, and a Chanel flap. What is Oh So Vonnie wearing? You should ask her or visit her blog. 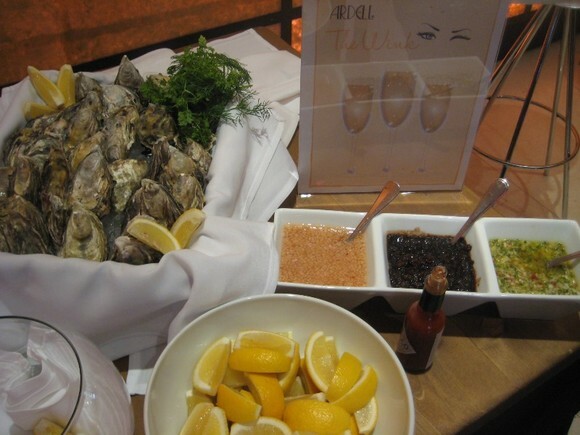 We snacked on yummy oysters with various sauces than your plain old tabasco. I tried the far left one and it was an apple cider vinegar. They fed us quite well. There were always mini treats being served to us while we sipped on delicious fruit cocktails. My favorite was the prosecco passion fruit bubbly. 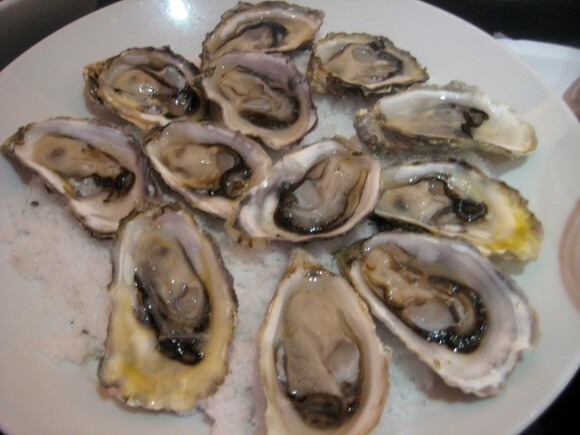 Macnunu and I at the oyster and sushi bar. I hope you can't tell that my right eye is still red. I keep forgetting to take pictures of things during the night. 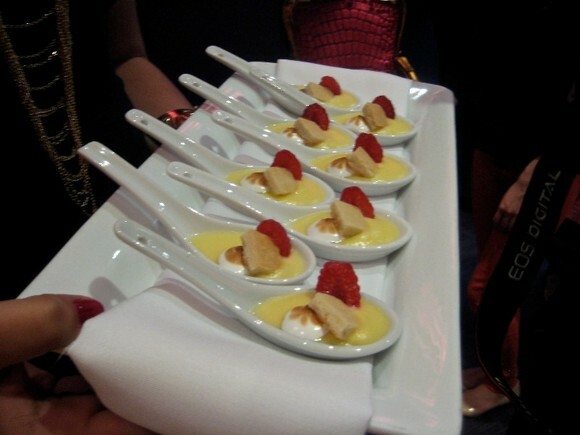 These lemon custard desserts were a nice surprise. Anything custard is good in my books. 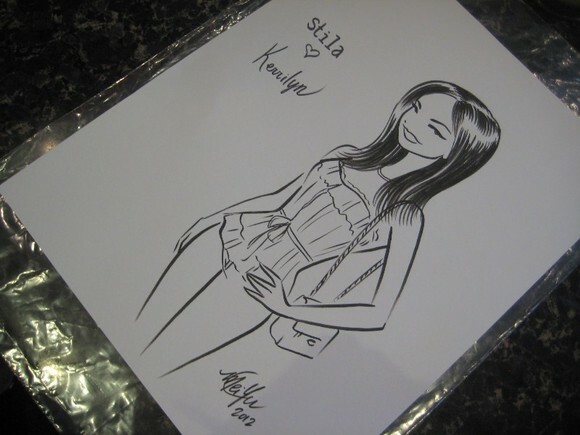 I got a Stila girl drawing done of me by the talented Mei Yu. Super cute! 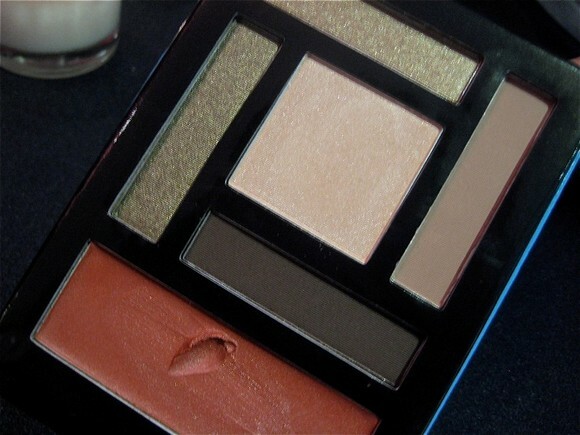 The Vibrant in Vancouver Travel Palette. I love how the colours are very wearable for every day. 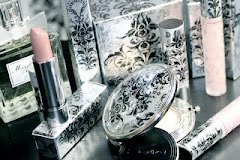 Stila is known for their pigmented shimmery eye shadows and convertable lip/cheek colours. Ardell was present at the event as well. They girls helped us put on fake eye lashes. 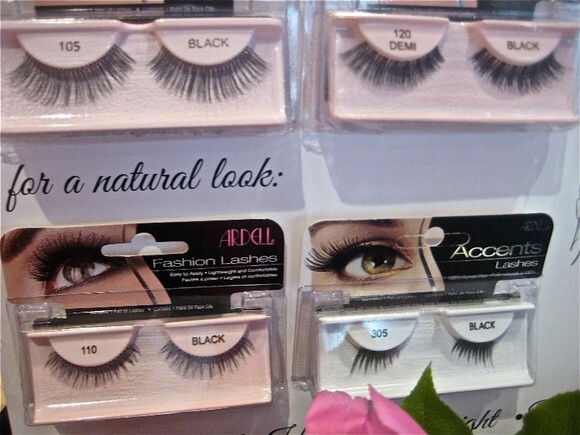 The best seller are the 105 lashes. The girls from Ardell kindly offered to put a pair of eye lashes on me. I really love the look because they are pretty dramatic but not too outrageous on my eyes. 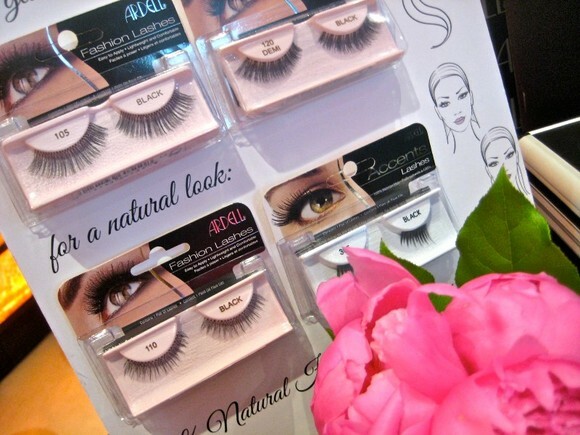 The 4th best selling lashes are the 110 because they are more natural. A more detailed photo of the lashes. 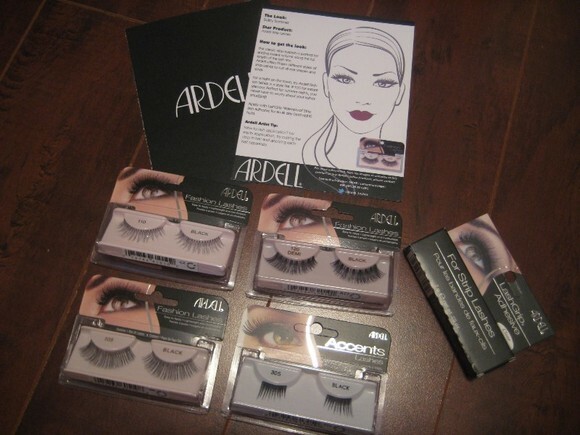 I love Ardell lashes. I'm excited to try the demi lashes which I have never worn before. 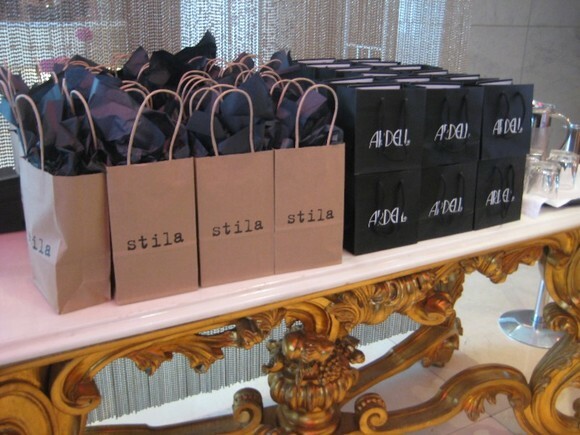 In the end we left with gift bags from Stila and Ardell. 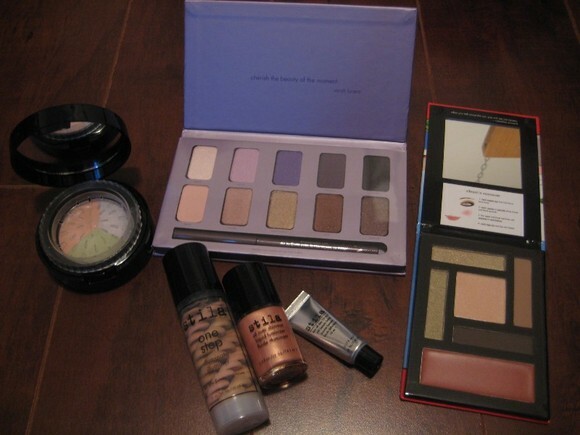 They had some awesome stuff that I will be reviewing soon. 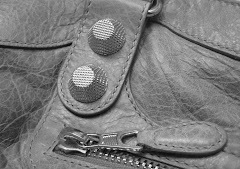 Here's a sneak peak at the swag. 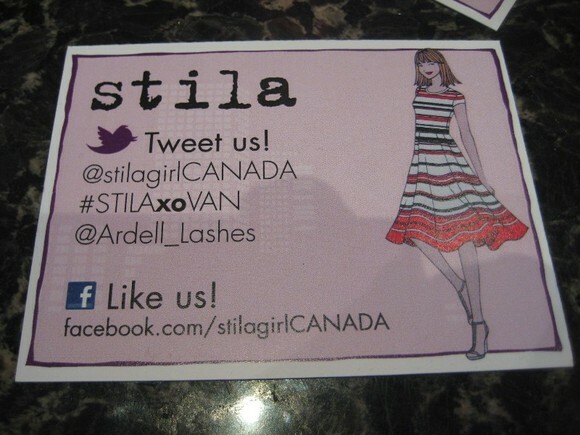 Thank you Stila and Ardell for hosting such a fun and informative event. I'm looking forward to trying more of your products. Oooh looks like fun, I can see your eye is still red haha. Get well soon! le sigh. yeah it's still red. the pain and swelling has decreased a lot. 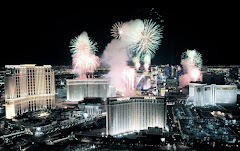 Looks like it was a super fun event!